Flashing Custom ROMs on Android Device: Being able to install and flash custom ROMS is one of the biggest reason that today so many people are rooting their Android Smartphones. Why stick to the old and monotonous interface of the device, when you can get much more interactive looks as well as great performance tweaks with custom ROMs. Android is great, but sometimes, the version you get with your phone—whether its vanilla Android or something like Samsung’s TouchWiz—leaves a bit to be desired. Here’s how to install a new version of Android (or ROM) on your device for an even better Android experience. Rooting your device grants you the power of your device. Power to manipulate its Performance and other features. Warning: Make sure the Custom Rom you are flashing is meant for your device or else it can cause boot loops and soft brick . I'm not responsible for anything that happens to your device while flashing roms. 1. 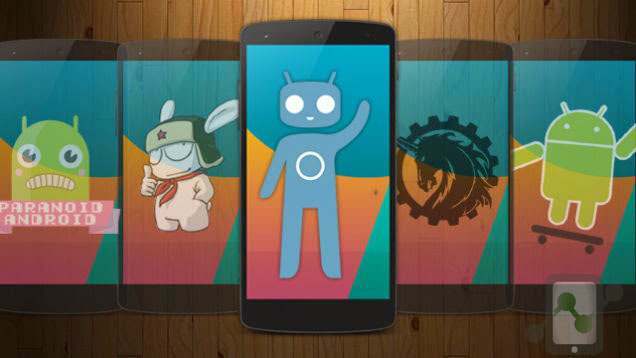 Download the suitable custom ROM for your device. 3. 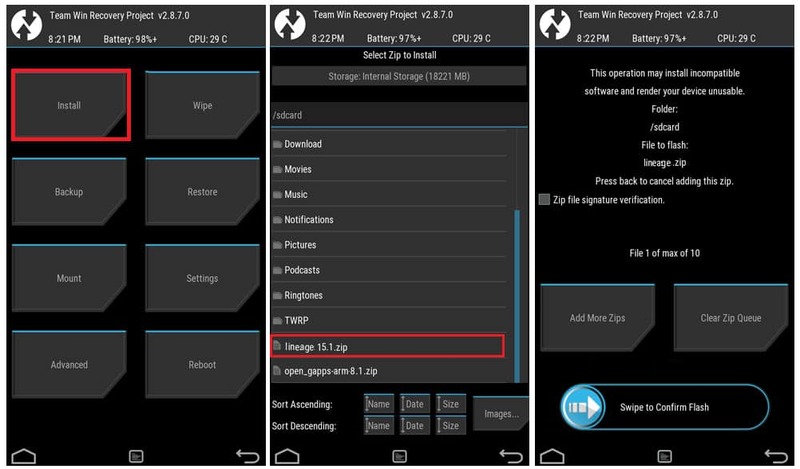 Go To TWRP or any other recovery: Switch off the Phone Press and hold ” Volume Up + Power Home (Button combinations differs from device to device)” Buttons and Select Recovery Mode. 4. Backup: Before installing any rom please make a Nandroid backup of your current rom. For that go to Backup and restore in recovery then click on Backup. So that you if you mess things up then you can easily get back your phone to its previous working state and prevent it from soft brick . 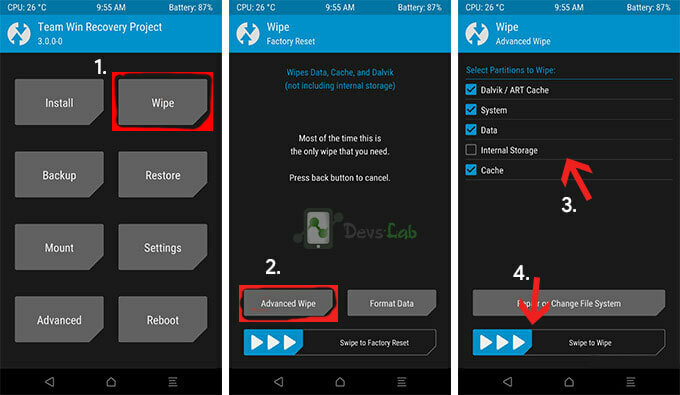 Step 2: After the wipe is complete, go to TWRP screen and click on Install. Select the ROM file from the file directory. Step 3: Click on the ROM file and confirm flashing by Swiping the arrow to right. Step 4: Once the installation if completed, go to TWRP main screen and click on Reboot > Reboot to System. Step 5: Wait for 5-10 min to boot up for the first time. Now you are all set! You’ll have a new ROM with tons of settings to play with, the Play Store to download new apps, and—if you made a backup with Titanium—you can now head into Titanium Backup and restore all your apps and their settings. Enjoy! 1. The Wipe data and cache doesn’t wipe Contacts? -> It does wipe everything but your contacts/pictures are synced in your Google Account so they’ll be restored back. Any game progress *might* (don’t quote me) be saved on your SD Card so you might not have a problem. It doesn’t wipe your SD card, just the phone’s data. 2. 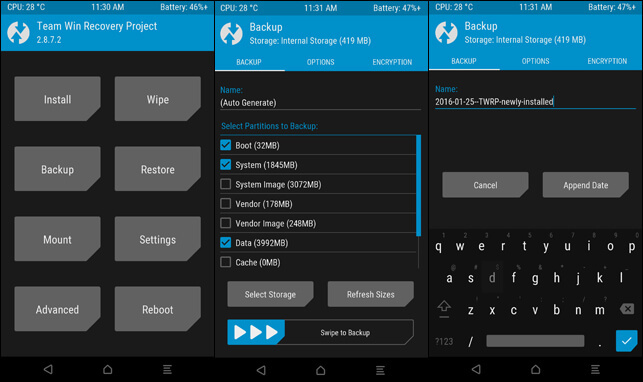 How to Backup Apps & data? -> You can use Titanium Backup to Backup system apps and data.